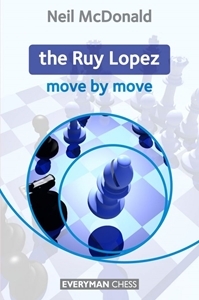 In this book, Grandmaster Neil McDonald studies one of the most important openings of all, the Ruy Lopez. This famous opening enjoys a long and distinguished history and is still widely regarded as White's strongest choice after 1 e4 e5. McDonald shares his experience and knowledge of the Lopez, examines the main ideas for both sides and offers answers to the key questions. International Master Cyrus Lakdawala examines all Anti-Sicilian lines and presents a repertoire for Black. This book tells you everything you need to know about facing the Anti-Sicilians.